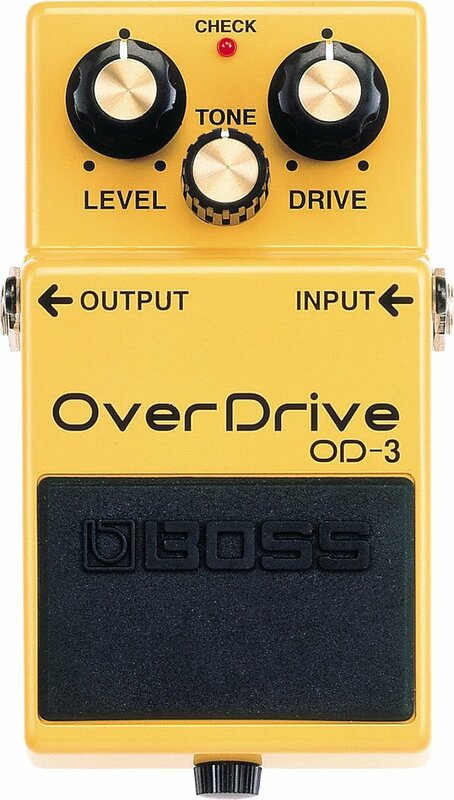 Ok, so you need some sort of overdrive pedal and you’re not sure where to start. Sure, there are a gazillion pedal makers out there, with new ones springing up every day. But if you’re new to pedals, and not sure, why not start with a company that has been making pedals for a long, long time? Take BOSS for example. They’ve been pumping out stompboxes since before the internet existed. That long you say? Yep. And if you’re in need of an overdrive, take a look at this gem here. Simple controls for Level, Tone, and Drive. Plug in your axe, adjust some dials, and voila, you’re ready to go. You’ll get dirt, sustain, compression, all in a nice yellow box. Was that easy?